Goalkeeper of the Dutch elite football division club ADO Den Haag Gino Coutinho has, along with his girlfriend, been found guilty of owning a major cannabis farm and being involved in forgery and money laundering. The pair were sentenced to 12 months in prison, leaving Coutinho's sporting future in doubt and his club in need of finding a replacement first-choice keeper a few weeks before the season’s end. 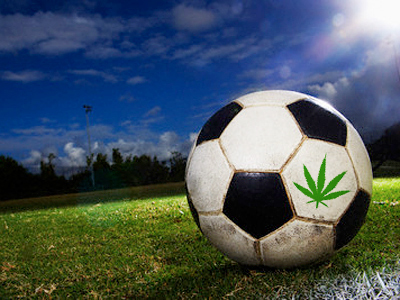 The former Dutch Under-21 international made headlines in August 2009, when police detained him after raiding his warehouse, which contained over 4,200 marijuana plants. At first, Coutinho denied his involvement, despite the fact that the place was registered in his name, but on Thursday the Dutch justice drew a line in the story and put the feckless farmer behind the bars. Earlier last month, as the British Guardian reports, Coutinho's father William was also sentenced to two years in prison for his involvement with the marijuana factory. Former PSV, Den Bosch, NAC Breda and Vitesse player Coutinho joined Den Haag in 2008. The 28-year-old has established himself as the club's first-choice goalkeeper and was instrumental in their success this season. The former amateur team from Hague is currently fifth in Holland's top flight having real chances of making next season's Europa League.